Step Media Limited is market leader in print production and one of the most integrated Printing, Publishing, Signage and Display solution companies in Bangladesh. Step Media Limited provides a complete outsource of technology, infrastructure and customer support to enable the enterprise to mass-deploy these solutions to its Business Partners as an affordable service. Company has pioneered a range of innovations setting new standards of service, which its competitors have subsequently sought to follow. Despite Step Media Limited's growth the service still remains customer driven with an emphasis on value for money, quality, reliability and innovation. Step Media Limited has 12 branch offices and now employs almost 700 people permenent workforce & many number out sourcing staffs assciated with us. In year 1998 Step Media Limited accuared state of the art digital printing mechine HP Scitex XL Jet to deliver premium qulaity image visibility to satisfy clients in Bangladesh. Bangladesh has only one unit of HP Scitex XL Jet(5m) Prinets, HP scitex XL Jet Printer machine, which is with Step Media Limited and we are very proude of it. Step Media Limited is working with evry multinational and local company in Bangladesh. We are practing corporate culture and values to syncronize with our clintents to speak the same language. 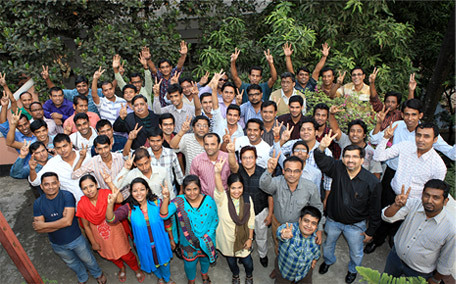 We lead by best people and technology and that is why we are most respected, reputed and trusted company in Bangladesh.